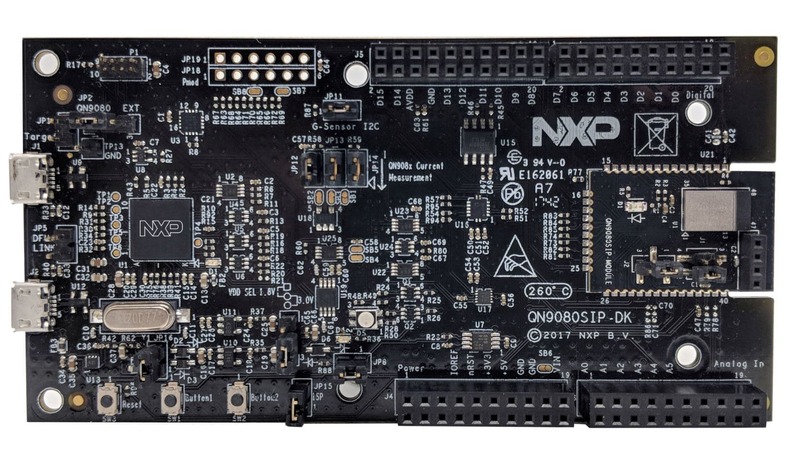 The QN9080SIP-DK kit contains a development board, a USB dongle, and an NFC antenna. The development board integrates buttons, switches, piezo buzzer, LEDs for easy-use, provides SWD/JTAG and USB interface for debugging and is form-factor compatible with the Arduino™ pin layout for more expansion options. The USB dongle is a Bluetooth device powered by QN9080. It acts as a master or slave when communicating with the QN9080SIP development board.